NOTE: Files are RAW HanRel 450p. File Size 700+MB. Sub Groups: DarkSmurfSub, Fighting Fansubs, Viki‘s Folder: MU. Drop by respective sources to say your thanks! *Don’t steal our links! Refer people back to this site! Alice: Oh yea. Bring on the wackiness! 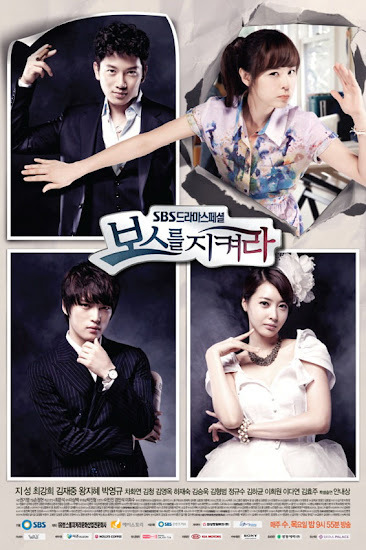 This entry was posted in Drama Episodes and tagged Choi Kang Hee, Ji Sung, Kim Jae Joong, Protect The Boss, Wang Ji Hye by Kappy. Bookmark the permalink. hey hey thanks for uploading the mediafire part, and i cant wait for another mediafire part for episode 15 and 16 😀 cant wait kekeke thanks guys ! Hi sweetie, thank you for the uploads on this drama. I can't believe it only has a couple more episodes left!!! I'm downloading ep16 right now. I actually watched it online for a lot of episodes at the start but lately I've been trying to download it and enjoy it to the fullest. What I love about this drama is the second lead couple!! Although I do adore the main couple, and I enjoy the main focus on them, I can't remember when I last saw a second lead male AND female that I warmed to so much ^^ They're both adorable!!! Thank you for the Mediafire links. Hopping that Ep17 & 18 will also be uploaded in Mediafire. Take your time I can wait for it. Thanks again. hi can u fix ep 7 no 4 split file? the filecannot be downloaded..really appreciate it if u can help.. I checked it and it seems to be working fine, perhaps the server was busy at that time? thx a lot 🙂 i love this drama, so cute i'm gonna die!!! where can i download the english subtitle for xfile? Hi, I'm just wondering do the soft subs from viki 720p work on these raw files? Just wondering because after ep 13 all soft subs are done in 720p.. will the soft subs still work on these raws? huuuu 🙁 i cannot download episode 5 ! file doesn’t exist ,, can you please re-upload it? Thanks for your hard work!! Can you please fix ep 8 file 4?? It wouldn’t download. Thanks sooo much! the file is working for me, perhaps try downloading again at another time. I can not donwload episode 3 part 2 from mediafire.com, please reupload.